Fasenra/benralizumab Cost, Side effects, Dosage, Uses for severe asthma. US FDA granted approval of Fasenra to AstraZeneca Pharmaceuticals. asthma. US FDA also instructed about this drug usage limitation means that it is not for treatment of other eosinophilic conditions or for relief of acute bronchospasm or status asthmaticus. Asthma is a chronic disease that causes inflammation in the airways of the lungs. During an asthma attack, airways become narrow making it hard to breathe. Severe asthma attacks can lead to asthma-related hospitalizations because these attacks can be serious and even life-threatening. 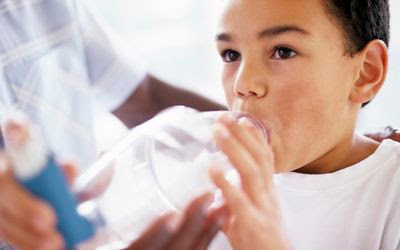 According to the Centers for Disease Control and Prevention, as of 2013, more than 22 million people in the U.S. have asthma, and there are more than 400,000 asthma-related hospitalizations each year. Benralizumab is a humanized afucosylated, monoclonal antibody (IgG1, kappa) that directly binds to the alpha subunit of the human interleukin-5 receptor (IL-5Rα) with a dissociation constant of 11 pM. The IL-5 receptor is expressed on the surface of eosinophils and basophils. In an in vitro setting, the absence of fucose in the Fc domain of benralizumab facilitates binding (45.5 nM) to FcɣRIII receptors on immune effectors cells, such as natural killer (NK) cells, leading to apoptosis of eosinophils and basophils through antibody-dependent cell-mediated cytotoxicity (ADCC). This drug is formulated in a single-dose prefilled syringe with potency of 30 mg/mL solution. Recommended dose is 30 mg every 4 weeks for the first 3 doses, followed by once every 8 weeks thereafter via subcutaneous injection. Mepsevii/vestronidase alfa-vjbk Cost, Side effects, Dosage, Uses for genetic enzyme disorder. The FDA granted approval of Mepsevii to Ultragenyx Pharmaceutical, Inc. US FDA approved new drug Mepsevii that contains active pharmaceutical ingredient vestronidase alfa-vjbk for the treatment of metabolic disorder called as mucopolysaccharidosis type VII (MPS VII) which also described as Sly syndrome. This drug can be used in both adult as well as pediatric patients. Though, mucopolysaccharidosis type VII is rare kind of genetic disorder but it is progressively affects body tissues and organs. Mucopolysaccharidosis Type VII or Sly syndrome is genetically induced disease characterized as deficiency of enzyme β-glucuronidase. Due to deficiency of this enzyme deposition of complex carbohydrates e.g mucopolysaccharides occur inside the tissues and organs of the body that's why it is termed as Mucopolysaccharidosis Type VII. It is basically an autosomal recessive lysosomal storage disease. It also named after an American biochemist William S. Sly who first described this disease (Sly syndrome). Most commonly observed symptoms associated with Mucopolysaccharidosis Type VII or MPS include macrocephaly, corneal opacity, anteverted nostrils, cleft palate, kyphosis or hook like deformity in thoracic area. In severe cases pulmonary infection, spleen enlargement and liver enlargement may occur. In newborn, this may cause growth retardation and affect motor functions of body. Mepsevii is an enzyme replacement therapy that works by replacing the missing enzyme due to which accumulation of complex carbohydrates reduce to a great extent and patient also gets relief in severity of symptoms. US FDA approved this drug for the treatment of rare genetic disorder mucopolysaccharidosis type VII (MPS VII) for both adults and child. This drug is an enzyme replacement therapy that works by replacing the missing enzyme. This drug is formulated in parenteral dosage form with potency of 2mg/mL (10mg/5mL single-dose vial). According to health authorities it is recommended that administer injection of any non-sedating antihistamine one hour before injecting Mepsevii to reduce the risk of reaction or hypersensitivity. Mepsevii/vestronidase alfa-vjbk is now available at retail outlets with average cost of 13,200$ per pack that contains 30ml dose with potency of 10mg/5ml. This cost may variate with the passage of time so, make it confirm by visiting your nearby pharmacy before purchasing. Hemlibra/emicizumab-kxwh Cost, Side effects, Dosage, Uses for hemophilia A. The FDA granted the approval of Hemlibra to Genentech, Inc. US FDA approved new drug Hemlibra that contains active pharmaceutical ingredient emicizumab-kxwh to decrease the tendency of bleeding episodes in patients with hemophilia A. This drug can be used in both adult patients and pediatric patients as well. Hemlibra/emicizumab-kxwh is a kind of monoclonal antibody administered via subcutaneous injection. US FDA also instructed about some warnings associated with this drug if use in combination with activated prothrombin complex concentrate (aPCC). Hemophilia A is a kind of genetic disorder characterized by deficiency of clotting factor VIII due to which tendency of bleeding increases many folds. Males are more affected by this disorder. Symptom of this disorder include frequent bleeding episodes followed by internal and external hemorrhaging from various sites like joints, gums, brain, digestive tract and muscles. Hemophilia A is inherited as an X-linked recessive trait that most commonly affect males as compared to females. In females this disease occurs only if mother is carrier and father is a hemophiliac male. All kind of therapies are aimed to reduce the episodes of bleeding but there is no single treatment that can cure this disease permanently. Mechanism of action by which Hemlibra/emicizumab-kxwh works is that it bridges activated factor IX and factor X to restore the function of missing activated factor VIII that is needed for effective hemostasis. It is formulated in parenteral dosage form and is administered via subcutaneous route. 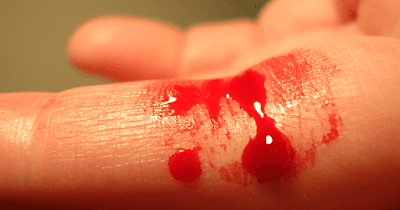 US FDA indicated this drug to prevent or reduce the episodes of bleeding in patient with hemophilia A. There is not enough data available about its usage in pregnancy or lactation. However, US FDA warned about its usage with activated prothrombin complex concentrate (aPCC). It is formulated in parenteral dosage form and its standard dosage frequency is 3 mg/kg by subcutaneous injection once weekly for the first 4 weeks, followed by 1.5 mg/kg once weekly. This drug will be available in following strength 30mg/ml, 60mg/0.4ml, 105mg/0.7ml and 150mg/ml in a single dose vial. Hemlibra/emicizumab-kxwh is now available with average cost of 90,000$ per pack that contains 30ml dose with potency of 30mg/ml. This cost may variate with the passage of time so, make it confirm by visiting your nearby pharmacy before purchasing. Prevymis/Letermovir Cost, Side effects, Dosage, Uses for Cytomegalovirus (CMV) Infection. 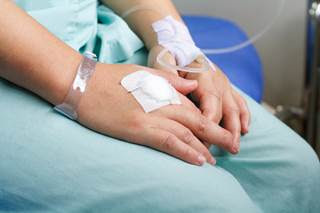 US FDA approved new drug Prevymis that contains Letermovir as an active pharmaceutical ingredient for the prophylaxis and treatment of infection caused by virus known as cytomegalovirus (CMV) in adult patients. US FDA also indicated this drug for the treatment of viral infection occurs after allogeneic hematopoietic stem cell transplant (HSCT). This drug will be available in two dosage form one is oral dosage form (Tablets) and second is parenteral dosage form (Injection) with potency of 240mg and 480mg. 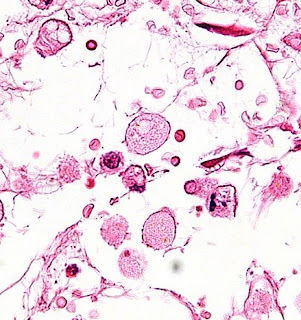 Cytomegalovirus (CMV) belongs to a group of viruses known as Herpesviridae. It is known by the the name of human herpesvirus 5. Cytomegalovirus may cause infection at any site inside the human body but most commonly infect salivary glands. This virus may remain dormant in a human body until patient becomes immunocompromised. 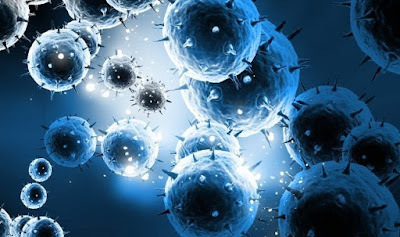 Cytomegalovirus (CMV) spreads rapidly inside the human body in case of weak immune system specifically in conditions like HIV infection, organ transplant and newly born infant. Most commonly observed problems with such viral infection are liver damage (liver necrosis), retinitis, colitis, pneumonitis, esophagitis, pyloradiculopathy etc. These problems may become worse with weak immune system or immunocompromised adults. This kind of viral infection is more common in developing countries with lower socioeconomic status. Prevymis/Letermovir belongs to a class of anti-viral drugs. It works by inhibiting the CMV DNA terminase complex which is required for viral DNA processing and packaging. US FDA also indicated this drug for prophylactic treatment of infection occurs after stem cell transplant. Following side effects were observed during clinical trails of this drug. US FDA approved this drug for the treatment of infection caused by virus known as cytomegalovirus (CMV) in adult patients or prophylactic treatment of infection occurs after stem cell transplant. This drug must not be used with any immunosuppressant drug or ergot alkaloids. Standard dosage frequency of Prevymis/Letermovir is 480mg orally (PO) once a day or intravenously via infusion over 1 hour through 100 days post-transplant. Dose adjustment must be kept under consideration in case of intolerance, toxicity renal or hepatic impairment. Prevymis/Letermovir is now available in market with potency of 240mg. Pack size of Prevymis/Letermovir includes 30 tablets. Average cost or price of one pack of Prevymis/Letermovir 240mg is 6110$. This price may variate with the passage of time so, make it confirm by visiting your nearby pharmacy before purchasing. Calquence/acalabrutinib Cost, Side effects, Dosage, Uses for Mantle cell lymphoma. The FDA granted the accelerated approval of Calquence to AstraZeneca Pharmaceuticals LP. US FDA approved new drug Calquence that contains acalabrutinib for the treatment of mantle cell lymphoma in adult patients who are not responding to prior therapy. US FDA granted accelerated approval of this medicine based on results received from single arm trial. Mantle cell lymphoma (MCL) is a kind of non-Hodgkin's lymphoma and accounts for 6% of non-Hodgkin's lymphoma. Some commonly observed symptoms of Mantle cell lymphoma are extreme weight loss, mild fever, fatigue, lymph nodes enlargement, lumps in the body, sweating at night time. Enlarged spleen is another common finding during ultrasound in case of Mantle cell lymphoma. You health care provider may ask you for biopsy for further analysis of disease. Calquence/acalabrutinib is based on novel drug delivery system. This drug belongs to a class known as Bruton's tyrosine kinase (BTK) inhibitor. It is more potent in efficacy and has less side effects as compared other agents that belongs to bruton's tyrosine kinase (BTK) inhibitor class like ibrutinib. Main mechanism by which it restricts the proliferation of cancer cells is by blocking an enzyme needed by the cancer to multiply and spread. According to health authorities following side effects were observed during clinical trails of this drug. US FDA approved this drug for the treatment of Mantle cell lymphoma in adult patients who are not responding to conventional therapy. On the basis of initial data received from clinical trials this drug should be avoided in pregnancy and breastfeeding. Recommended dose is 100 mg orally approximately every twelve hours. Swallow whole capsule with water and with or without food. Do not chew or break the capsule because it may cause drug loss or reduce the efficacy of drug. Dose titration must be consider in case of toxicity or other unexpected side effect that can not be tolerated. Calquence/acalabrutinib is now available at retail outlets with average cost of 7300$ - 7400$ per pack that contains 30 capsules each with potency of 100mg. This cost may variate with the passage of time so, make it confirm by visiting your nearby pharmacy before purchasing.